For once the match that stands out in Round 7 of the Tromsø 2014 Olympiad is in the women's half, as 2nd seeds Russia take on the favourites China, who are looking for their first Olympiad gold medals since 2004. Both teams bring their strongest line-ups. In the men's event we again have a host of top games, including Dominguez-Mamedyarov, Carlsen-Naiditsch and Nakamura-Kasimdzhanov. We're about to enter the finishing straight of the Olympiad, with five rounds to go. So far only the Russian and Chinese women have a perfect 6 wins out of 6, and if either can strike a decisive blow in their upcoming match they'll become strong favourites to win the event as a whole. Russia's new recruit Kateryna Lagno has White against Hou Yifan on first board, but overall it couldn't be more finely balanced - with both teams boasting higher ratings on two of the boards. Full pairings for both men and women are here. The men's event also sees a battle between the clear leaders - Cuba-Azerbaijan. The Azeris are favourites on paper, but a lot may depend on what Leinier Dominguez can do on board one with White against Shakhriyar Mamedyarov. Magnus Carlsen's mini-supertournament continues, as he faces Germany's Arkadij Naiditsch with the white pieces. 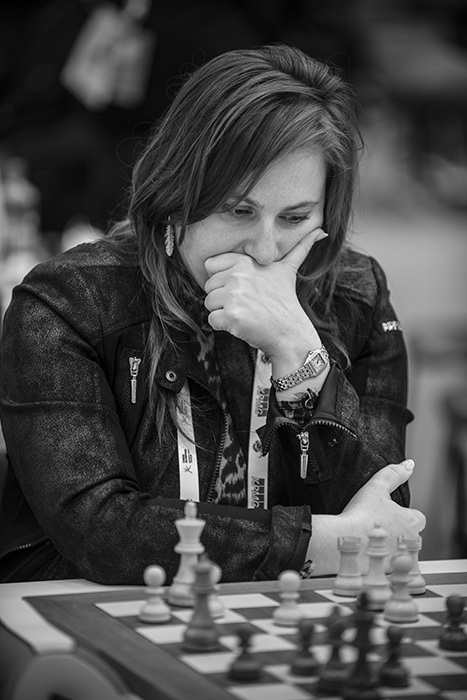 An even clearer example of playing around with board orders is the Hungarian team, who have Csaba Balogh (2637) on second board, but Richard Rapport (2704) and Judit Polgar (2676) on boards three and four. Today they take on defending champions Armenia in a battle between the fourth and fifth seeds (Aronian-Leko is the pairing on board one). Russia rest Vladimir Kramnik after his loss to Rustam Kasimdzhanov, though 2795-rated Alexander Grischuk is a half-decent replacement to face David Navara on top board. 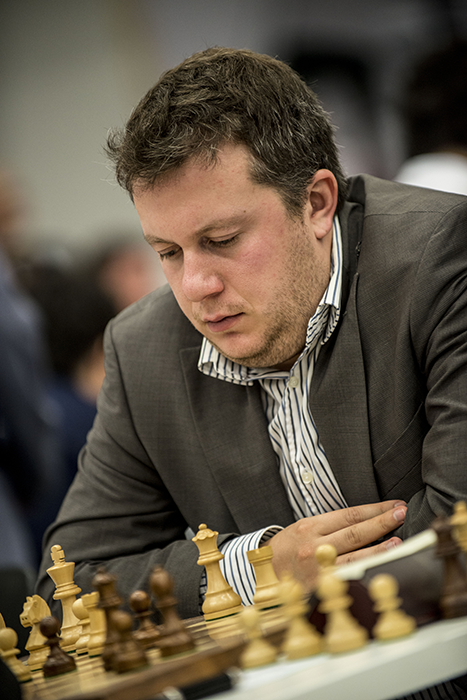 Kasimdzhanov himself follows up his wins against Naiditsch, Ivanchuk and Kramnik with another huge test with the black pieces against Hikaru Nakamura, who will be looking to get the US team moving again after something of a false start. Other games to watch include Topalov-Giri and Vachier-Lagrave-Jobava - in short, it's going to be another day of unmissable action!